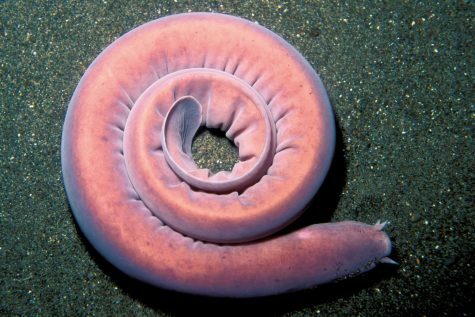 The humble, ancient hagfish’s unique slime has the potential to be used as bulletproof body armor due to its unusual qualities. The hagfish is not one of the ocean’s most appealing creatures. An ancient, jawless relative of vertebrates, the pink, wormy animal spends its time on the seabed, eating dead and dying fish with its tooth-studded tongue. Various hagfish species live in cold, deep seas across the world and enjoy a peaceful, isolated existence. That is, until a predator finds them. Hagfish almost completely lack a skeleton—they only have a skull and spine made of flimsy cartilage. But this living fossil is not defenseless. A hagfish resting on the ocean floor. The hagfish possesses a unique ability: making huge amounts of slime. When distressed, a hagfish excretes slime fibers from its skin. 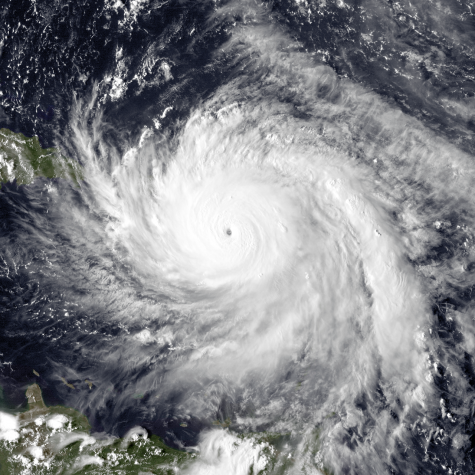 As soon as the fibers touch seawater, the water molecules infiltrate their structure, causing them to balloon into giant, thick, nearly indestructible sheets of slime. Typically, this drives off any would-be predators. Either their gills become clogged with slime, or they find themselves unable to hold onto the slippery hagfish. To get rid of excess slime, the hagfish just ties itself into a knot, then goes on its way. When hagfish slime is stretched and dried, it produces a soft, fibrous thread that can be woven into extremely durable fabric. Garments made of hagfish fibers, due to the proteins in hagfish slime, have bulletproof properties like Kevlar, but are much more lightweight and flexible. 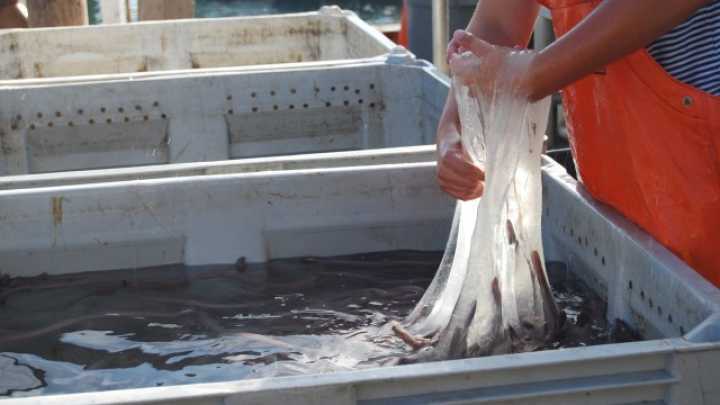 Aside from making armor, hagfish slime can be used as shark repellent, a protective coating for the hulls of ships, flame-retardant, and a rapidly expanding snare trap for military use. Breeding hagfish in captivity is nearly impossible, so scientists instead are focusing on replicating hagfish slime artificially. In fact, the Navy has already perfected their artificial slime, and is currently exploring its military uses. The hagfish’s many unique properties, however, have been commercially used even before the discovery of their unusual slime’s abilities. Hagfish off the coast of the Korean Peninsula are often served up as local delicacies, and their skin has been used to make leather products, such as belts and wallets, under the market name of “eel skin.” Our distant scavenging relative, though it lives isolated in the darkness of the deep sea, is no stranger to society. Regardless of its unattractive appearance, and its face—or lack thereof—that only a mother could love, the hagfish and its strange, exceptionally useful slime may one day be able to prevent soldiers and police officers from getting into many sticky situations.